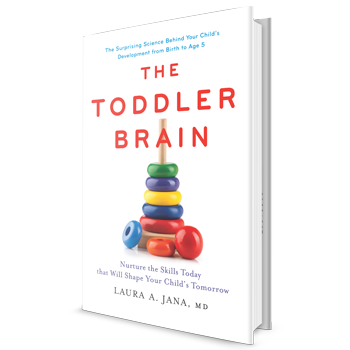 In her latest book, now available for purchase, Dr. Laura Jana introduces the concept of QI Skills and lays out a strategic plan for early childhood development and cultivating the 21st-century skills needed to succeed during the foundational first five years of life. With wit and humor, Drs. 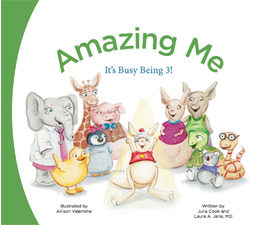 Shu and Jana allay the feelings of anxiety, guilt, and inadequacy that inevitably plague first-time parents home alone with a newborn, providing authoritative yet compassionate advice for the sleep-deprived and overwhelmed! 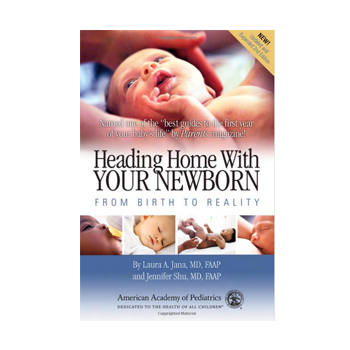 Includes everything new and expectant parents need to know about caring for baby in the first few months after birth. Knowing what to feed a child is one thing, getting them to eat it is another. 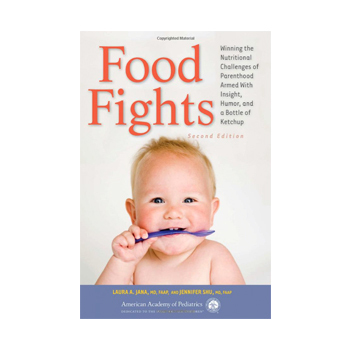 Includes advice on how to pick your battles whining and dining, throwing food and dietary distractions, what’s lacking in snacking, the 5-second rule, and more. 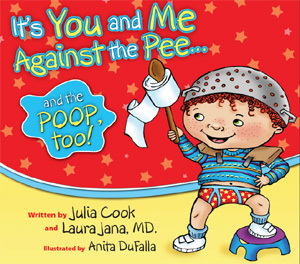 It’s You and Me Against the Pee… and the Poop, Too! Armed with a powerful secret for potty-training success and eager to play, Stanley proudly transforms into a Potty Expert. This fun and colorfully illustrated book will turn all kids into Potty Experts while providing grown-ups with an important reminder that potty learning can and should be a team effort. Written with Julia Cook. Starting kindergarten represents a major milestone in the lives of young children (and their parents!). It is an important step into the unknown that while exciting can also be the cause of nervous anticipation for everyone involved. The good news is that it doesn’t have to be scary! Written with Julia Cook. 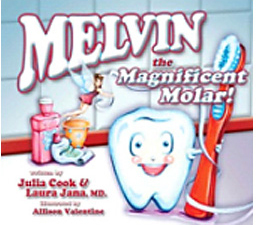 Through Melvin’s view of the world, this book encourages children in a fun-loving to actually want to brush their teeth. Melvin shows readers how to make sure they will have happy teeth and healthy smiles that will last them a lifetime by promoting brushing, flossing, and regular visits to the dentist! Written with Julia Cook. Amazing Me! It’s Busy Being 3! 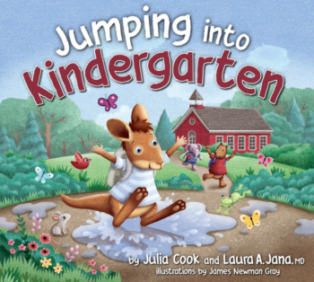 The story of an amazing 3-year-old kangaroo who is very excited about all that he can do now that he is three. Joey doesn’t know it, but these amazing things are called developmental milestones, and they’re a very important part of each child’s growth. Written with Julia Cook. Available through the Centers for Disease Control as part of their Learn the Signs, Act Early Autism Awareness Campaign.